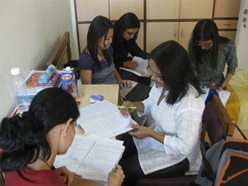 A home away from homeTERI SAS has a hostel facility exclusively for women. The hostel is spacious and well-furnished, with comfortable single and double rooms with attached bathrooms. It has energy-efficient features installed in the rooms as part of the 'Green campus’. Round-the-clock security guards with electronic surveillance. Recreational room where students can watch television. Recreational room to play carom and chess. The Deemed University also has a well-stocked library, basketball court, table tennis room and special digital resources library. TERI SAS provides assistance to both boys and girls in finding suitable paying guest / hired accommodation facility. 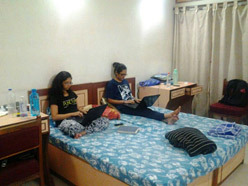 RULES AND REGULATION FOR HOSTEL FACILITIESStudents are expected to abide by the rules and regulations laid down by the Deemed University in order to ensure discipline. Failure to which may make a student liable to disciplinary action. In case of 3rd semester students, results of 1st and 2nd semester will be taken into account while allocating hostel rooms.